A new year, a new beginning and a new resolution. Are you one of those individuals who have committed yourself to a healthier diet for 2018? A promise to leave the cheeseburgers, cupcakes, processed foods and chocolate ice cream alone and instead turn to healthy, wholesome, fresh foods. Want to live healthier, long-lasting lives. Why should our pets be different? A relatively new product on the market named Freshpet, is formulated with the belief that our pets should not be treated differently. Providing a diet consisting of a fresh, natural food is just as important to our pets as it is to us. Those of us who truly love our pets want to provide a diet consisting of fresh ingredients rather than processed meals. What is Freshpet dog food? Freshpet Dog Food … What’s It All About? 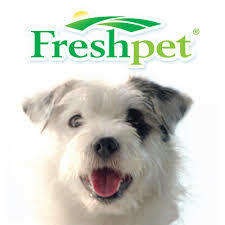 Freshpet, established in 2006 and located in Bethlehem, Pennsylvania is a company who believes that pets should have a diet consisting of all natural, fresh ingredients. Recipes are cooked at lower temperatures and cooked only once unlike other dog food. This ensures that key vitamins and amino acids that dogs need are not lost to excessive cooking. Without the use of preservatives you will find the Freshpet product in refrigerators within the dog food aisle in your local stores. As the name implies, Freshpet provides a fresh, balanced diet for your dog. They claim to only use the freshest ingredients in their recipes, which in turn leads to a healthy, energetic and happy pet. The company prides itself in using only real meat and vegetables that can actually be seen in their recipes. Over 1 million dog and cat owners now use this product. 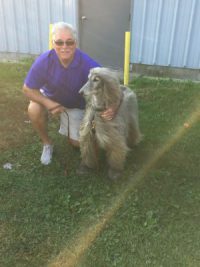 Is Freshpet Right For You And Your Pet? Freshpet should only be considered by those pet owners who are serious about their dog’s diet. Research has shown that pets that are raised with fresh foods live longer with healthier lives. Recipes are available for dogs in all life cycles from puppies to senior. Dogs with food allergies or those having difficulty with the digestion of food intake may also find that this product will be beneficial. Due to the freshness associated with this product, dogs who tend to be ‘picky’ eaters find this product quite appetizing. A word of caution: Pet owners who are considering this product as a change to their current pet food must realize that it must be introduced slowly. Gradually decrease the amount of the current food as you introduce Freshpet into your dog’s bowl. This process should take up to two weeks before it is completed. Simply decrease the old with the new in small intervals. Historically, most pets have been fed with food from cans or bags of kibble. This has gone on for so long that many feel that it is just normal for pets and continue to rinse and repeat the same process over and over again. I am not suggesting that every dog owner should consider changing brands, especially with those dogs who are doing just fine with their current diet. From various pet owners who have dogs with specific issues, ( food allergies, loss of appetite, obesity, etc.) Freshpet may be one to consider. Fillers like corn or wheat are eliminated from Freshpet recipes as well as being cooked at lower temperatures and cooked only once unlike other dog food. Fresh food is never rendered. Freshpet uses real meats. In fact, you can easily find chunks of fresh chicken, carrots, peas, cranberries, and spinach in their recipes. 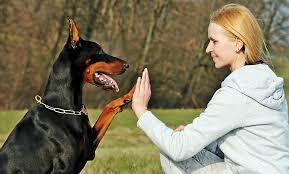 This ensures that your dogs will enjoy all available nutrients that these ingredients provide. The result is a happier, healthier dog. 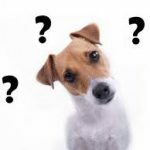 Another intersting fact about Freshpet dog food is that they have a product selector that requires you to answer a few questions about your pet. This makes it possible to recommend a pet-specific meal for your pet. Freshpet Select alone comes in eleven different flavors. Other brands include Vital, Nature’s Fresh, Fresh Baked Recipes, Treats for Dogs and Deli Fresh. No matter the breed of your canine and feline pets, you can rest assured that Freshpet has you covered with respect to their meals. There is such a wide range of food brands and a series of flavors per brand that your pet will certainly find a satisfying option. 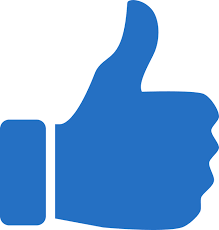 Without hesitation, I would definitely recommend Freshpet dog food for a number of reasons. First of all, it is difficult not to realize the ‘freshness’ this product brings to your dog’s bowl. So fresh, that it is packaged in ‘rolls’ and placed in refrigerators to ensure that this freshness is not compromised. Just like us, dogs will enjoy a diet that is fresh and wholesome. Secondly, and probably just as important are the ingredients that Freshpet uses in its recipes. The fresh quality of their meats and vegetables along with the proteins and vitamins are top-notch compared to other natural dog food brands. The absence of such things as corn and wheat is also a plus, especially for those dogs who are allergic to these ingredients. I also like the idea that Freshpet supplies a product selector that targets the needs of your specific pet. All dogs are unique in their make-up and composition and having a product selector that will meet the nutritional needs of my dog is comforting. Freshpet, as far as I know, are the only company that offers this device.